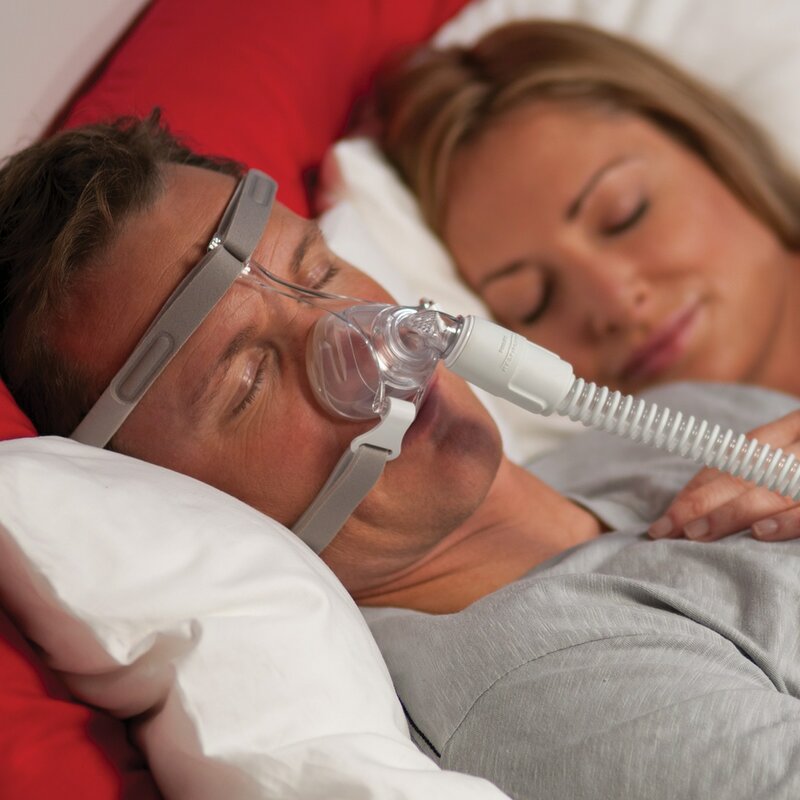 Bringing a lightweight, minimalist feel to traditional nasal mask design the Pico Nasal CPAP/BiPAP Mask is simple to use and easy to wear. 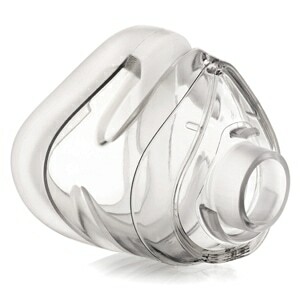 Pico's nasal cushion fits snugly over the tip of the nose for a soft, leak free seal with minimal facial contact. A unique integrated forehead support and soft headgear provide a loose, comfortable fit. 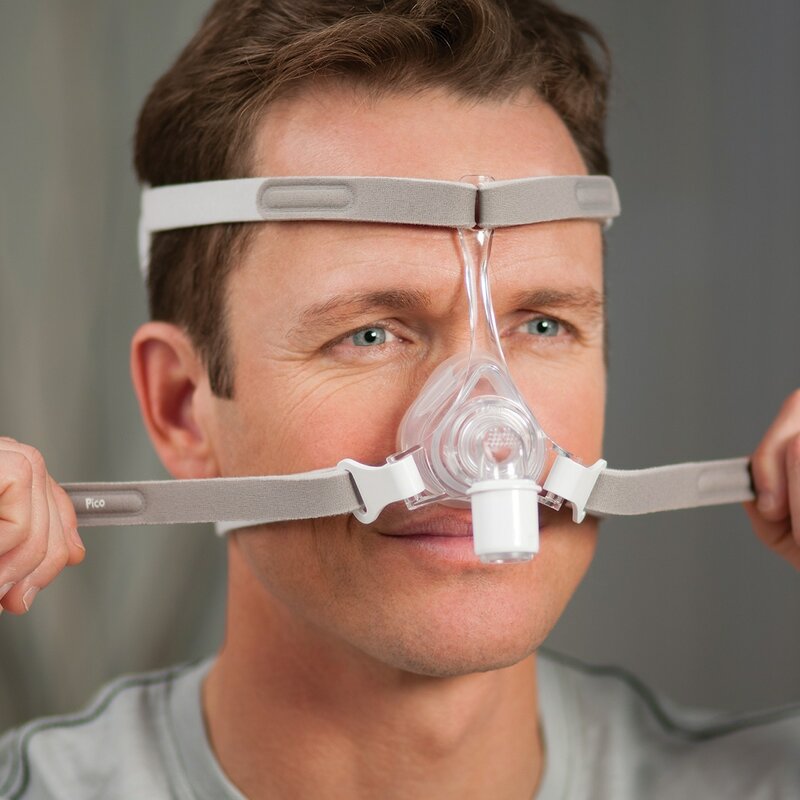 Pico mask packs are available in three sizes -- SmallMedium, Large & ExtraLarge -- to fit a wide range of users; and a FitPack with all three cushion sizes is available if you're not sure which size is best for you. 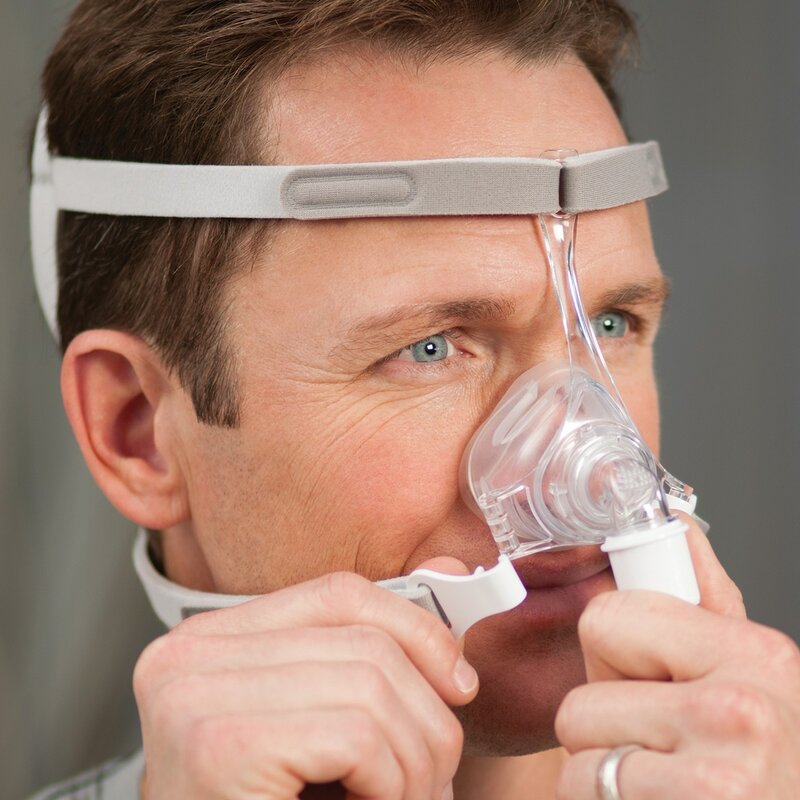 A Traditional Nasal Mask with an Ultra-Light, Minimalist Design: At the heart of the Pico Nasal CPAP/BiPAP Mask is a streamlined, low-profile frame that reduces facial contact and eliminates the need for standard wide forehead support bar. 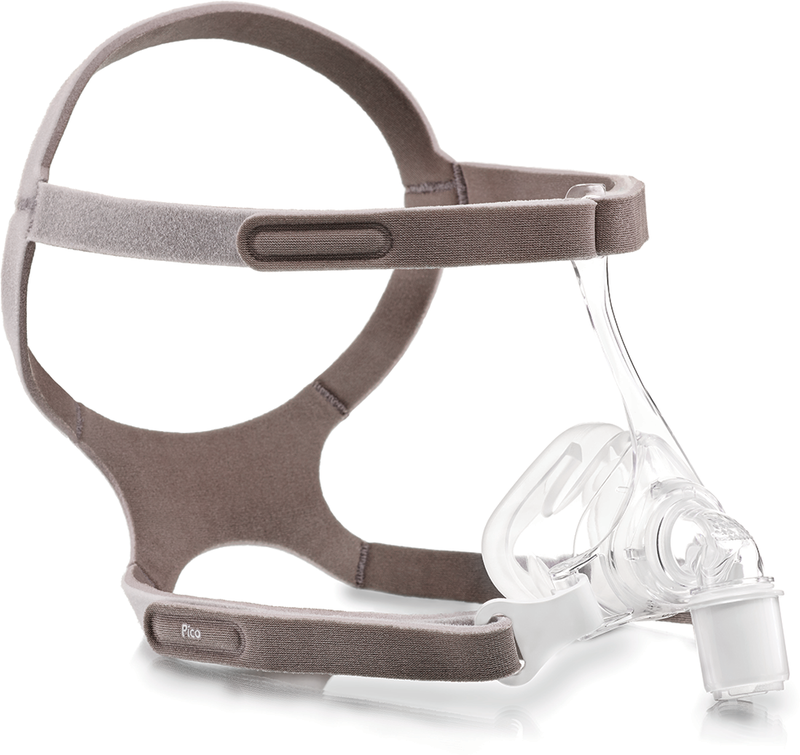 Instead Pico's soft headgear straps loop through the frame's adaptive forehead extension bar to provide stable, soft, adjustable support at the top of the mask. 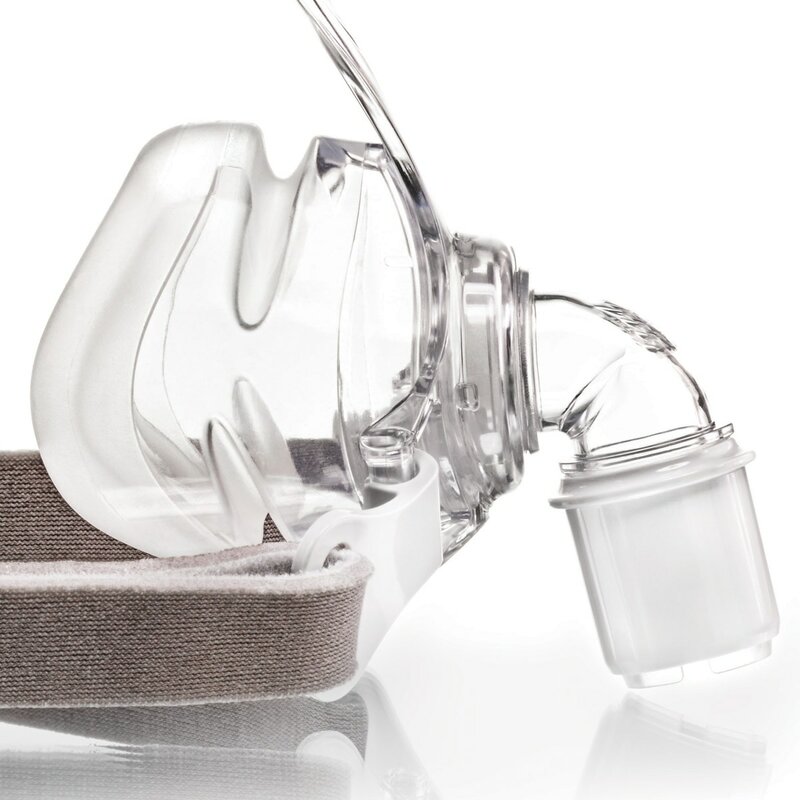 Tip-of-the-Nose SnapFit Cushion with Auto-Seal: Pico's SnapFit nasal cushion only covers the tip of the nose so it is light and adaptable with very little facial contact. The dual-wall design has a soft inner wall that seals against the nose; and a stronger outer wall to provide support and stability. Pico's cushion fits simply without leaks or pinching; and it automatically adapts to changes in position so it's great for active sleepers. 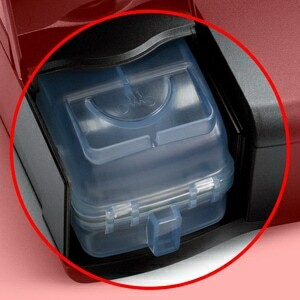 Pico nasal cushions are available in three sizes -- SmallMedium, Large & Extra Large. A FitPack with all three sizes is available so you can find your best fit. If you already know the size that fits you best, single cushions mask packs are available too. Soft, Slim-Line Headgear with Stabilizing Crown Strap: Pico headgear is soft and slim with quick release clips and a quick disconnect swivel, for easy application and removal. 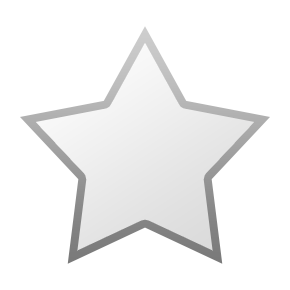 There are four convenient velcro adjustment points on the headgear so it is easy to achieve a comfortable, leak free fit without over-tightening. 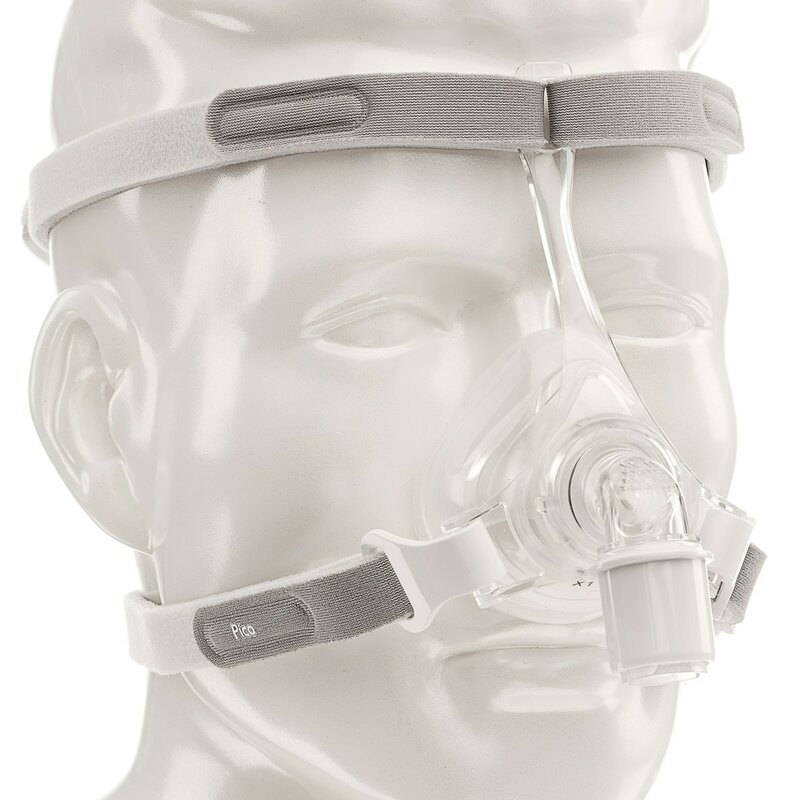 A large circular crown strap at the back of the head helps to stabilize the mask as well. 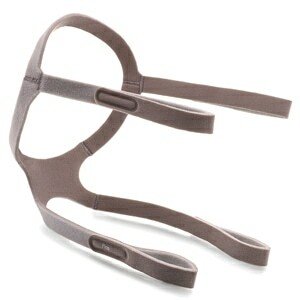 Two headgear sizes are available -- Standard and Reduced Size. 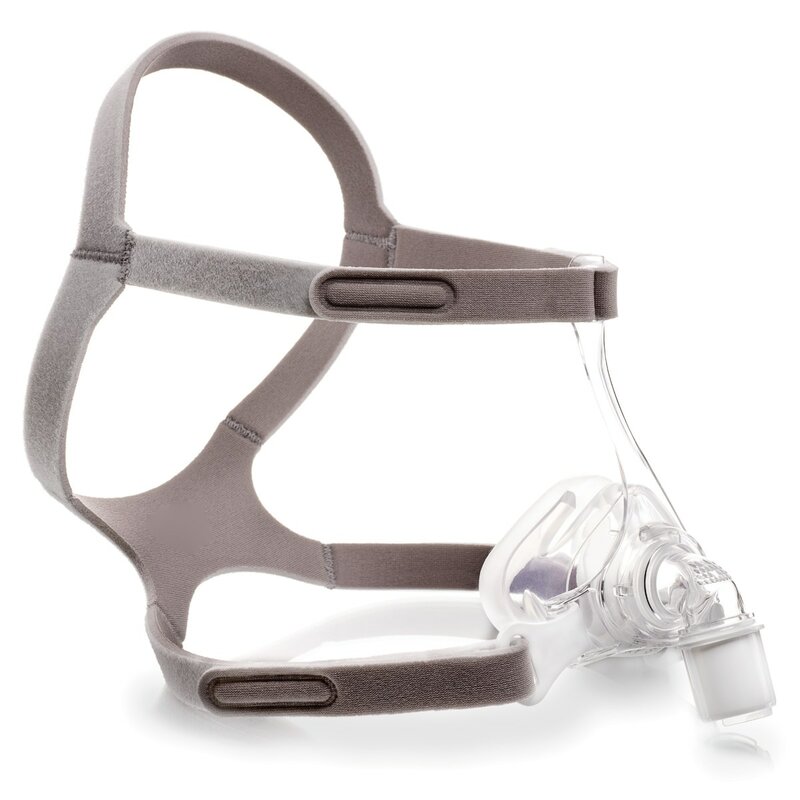 All mask packs come with Standard Headgear; but the Reduced Size is available separately as a custom fit option for more petite users. 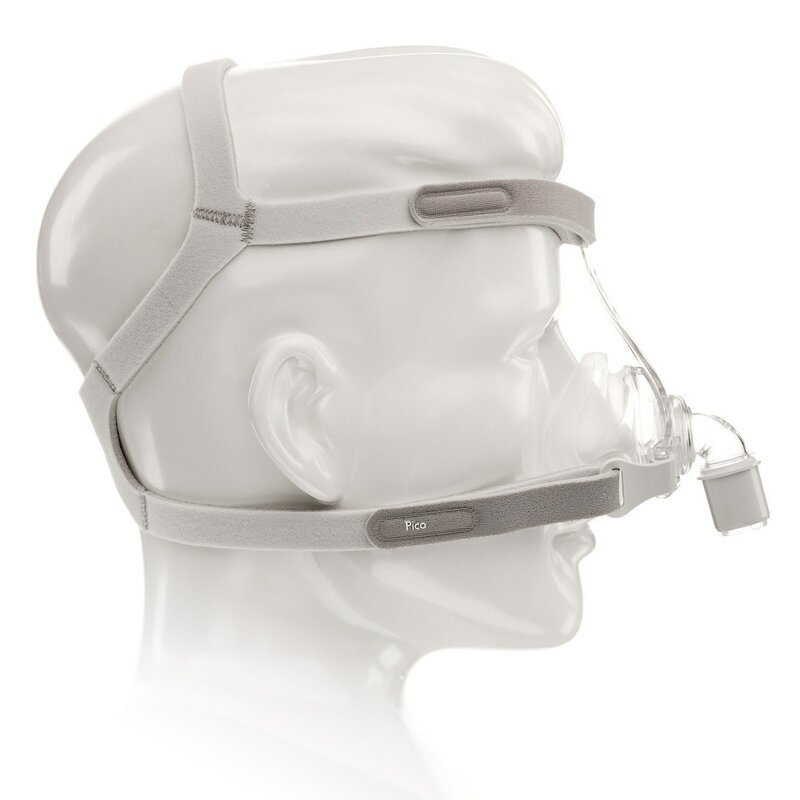 In The Package:Complete Nasal Mask Pack with Cushion and Headgear. Upgrade to a FitPack with 3 Cushions in Your Shopping Cart. 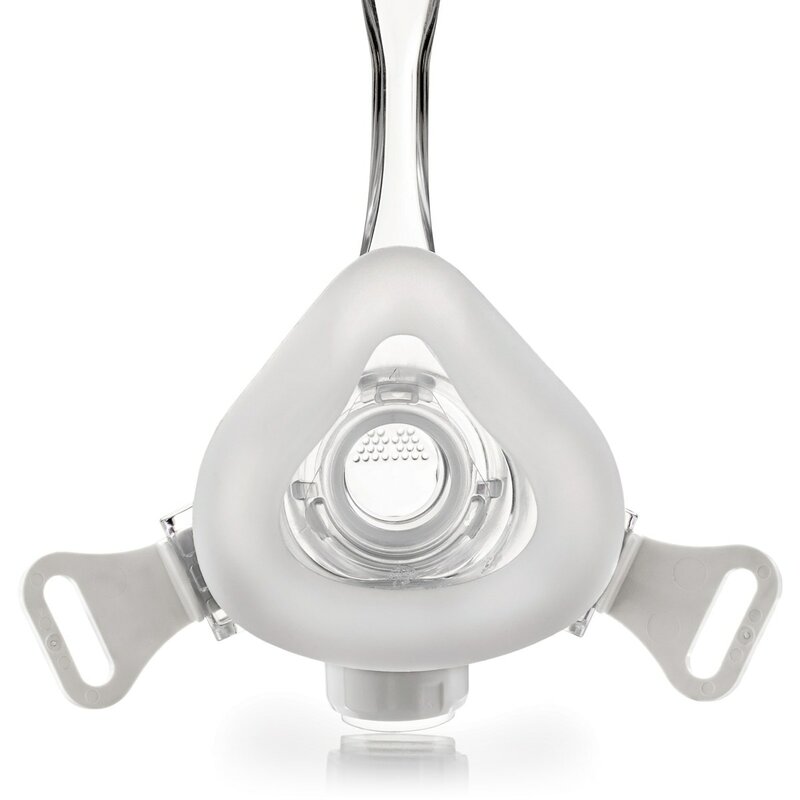 tried lots of pap masks including full and nasal and this one with the small cushion is the best. the headgear doesn't feel overwhelming like most other masks and the forehead support is actually comfortable. Ouch! Left a big red welt on my nose! The Pico mask looks like it should be good, but it was very uncomfortable. I don't have a particularly large or pointy nose, but a small/medium barely had room for my nose and created a painful red welt on the bridge of my nose that took a few days to go away. I also felt like I wasn't getting enough air flow. I returned the mask, as I didn't think I would want to wear it again. Could not get a good fit. Very loud. Sticking to my FP 407 or 405. Returning this one within 30 days. Still looking for perfect one.